To me, New West is a powerhouse scent. 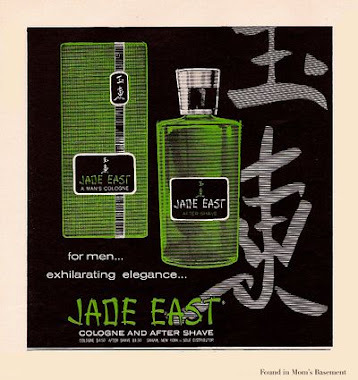 It's cited by many people as being one of the first fragrances of the "fresh fragrance" genre, but I don't agree with that label at all when it comes to New West For Him. Yes, it does have sharp, fresh aspects to it, but this is too power-packed of a scent to be called merely a fresh fragrance. When I spray this on, it hits me in the face with the same adrenaline-charged, uber-masculine aroma that only a true powerscent can deliver. I will explain. First, there are enough notes in this to kill a horse. Just look at this some of these notes: artemisia, caraway, lavender, pine, coriander, juniper, bay leaf, patchouli, geranium, leather, sandalwood, cedar, amber, oakmoss, etc.. Change the proportions around and this could just as well be the formula for Van Cleef & Arpels Pour Homme or Quorum. So all the usual heavy hitters from the era are present and accounted for here. Second, New West smells like it contains all those notes listed above. This is where New West diverts from the usual powerscent path. 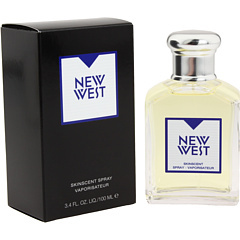 What sets New West apart from all the other heavy 80s fragrances is the fact that you can smell just about every note it contains, yet it never smells dense or heavy like, for example, Oscar de la Renta Pour Lui or Fendi Uomo. It's very assertive and powerful, but its prominent use of dry coniferous wood and green herbs keeps the scent smelling fresh and transparent at the same time. This is where the "fresh" label comes from. Finally, what is most impressive about New West is how well it's blended. Even though I can smell what seems like an endless number of facets and notes in it, never does it smell like a whole bunch of different fragrances thrown into a bottle and shaken up. No, this always smells like one cohesive fragrance. 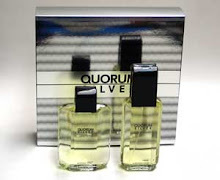 It's an equilibrium that the perfumer should be commended for acheiving. By the way, you were probably wondering if this smells any good. All I have to say is that this juice rocks. 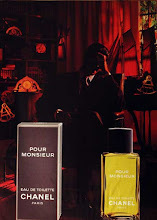 It is extremely aromatic and mossy, two qualities I love most in a fragrance. 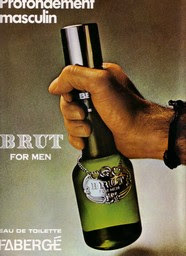 It is also unashamedly masculine; your wife or girlfriend will likely not want to sneak a spritz from your bottle of New West For Him. In addition to its assertive, ballsy smell, its powerscent credentials are fully intact: it projects very strongly - stronger than a lot of other legit powerscents - and its staying power is incredible. I can smell this on myself 24 hours after application, no kidding. The only thing I can say that isn't glowing (and the only reason I don't give this a 10/10 rating) is that I don't wear it much, because I'm not often in the mood to wear it. However, that's purely subjective, and is based in large part on the enormity of my fragrance collection. What more can I say about this? New West For Him is the balls. I have to agree New West is awesome. I actually love this style of fragrance(I love Horizon too), and I wish they would have stayed on this track instead of going to aquatics. Question for you: do you consider it to be a powerscent? Most people seem to disagree with me on this. I am not sure really I will have to wear it again and get back to you on that one, but I know it is borderline for sure. I am wearing New West today and I do think it's a powerhouse. It may be the cleanest and freshest powerhouse there is. Shamu do you think Horizon and Jaguar are powerhouses? I think Jaguar is an herbal powerhouse (love that frag!! ), though it's one of the least strong powerscents I've tried. Horizon? I don't know. It certainly is masculine, lasts a long time, and projects like mad on my skin. However, it doesn't quite have that heaviness factor that powerscents have. If someone told me he thought it was a powerscent, I wouldn't argue with him. It's too close to call. 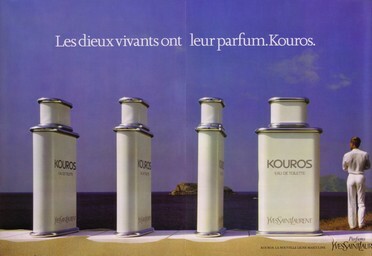 I will say, however, that Horizon is one of those fragrances that every powerhead seems to like. Your review once again made me curious and so I had to try it out today while downtown. Like "Moods" this frag is incredibly blended and I think I can still smell it on me upon my return home-after having taking a shower that is ! Can't remember having come across a scent with that kind of staying power in a long time.It reminds me of "Prince" (at least in its leathery overtone), but that may be because my limited collection does not allow for a whole lot of comparisons...not yet.